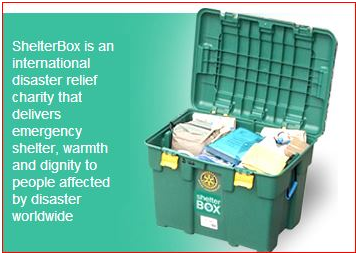 ShelterBox was founded in 2000 in the small town of Helston in Cornwall, UK. That same year the Rotary Club of Helston-Lizard adopted it as its millennium project. Little did they know that it would become a Rotary project partner, with an ever-growing number of international affiliates. 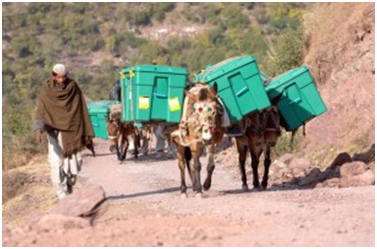 Starting as the brainchild of one Rotarian with the support of his Rotary club in year 2000 in UK – ShelterBox has grown to become the largest Rotary Club project in the 100 year history of the organisation. What’s a shelter box look like ? 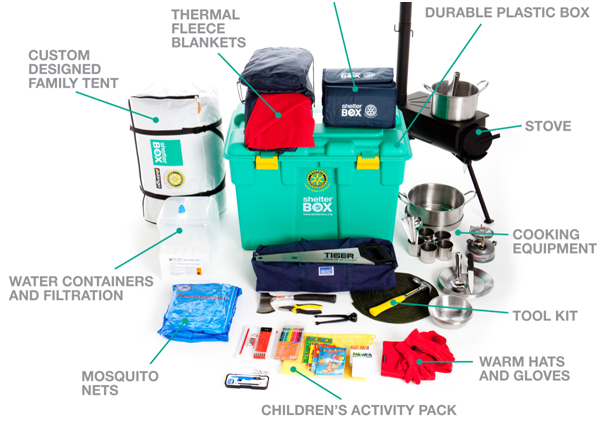 Contained within the Large Green Box are items considered essential for immediate aid in the case of Flooding, Tsunami, Earthquakes or any disaster areas requiring shelter and facilities to sustain displaced people. 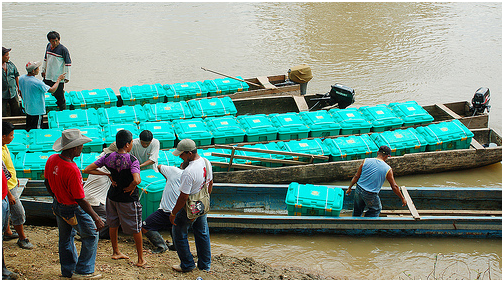 ShelterBox helps displaced families all over the world. It is operated by volunteers both in Australia and worldwide and have rapid response teams ready to fly to where relief is needed be it in freezing cold environments, intensely hot regions, on coastlines and in high, mountainous areas. They help to rebuild communities in need wherever they can . Home based volunteers fulfil the logistics of warehousing and transportation roles. When donations are made for a box, that box is assigned a unique number and assigned to places of current greatest need. 2013 Typhoon Haiyan - Donation directed to emergency fund - no boxes issued. 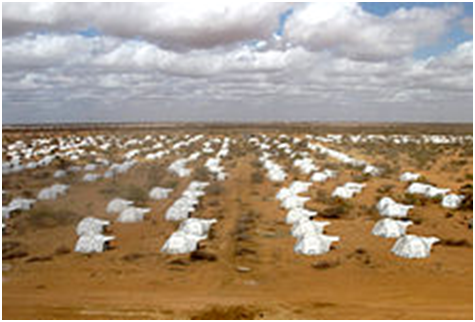 While ever this need continues, the Rotary Club Of Engadine will continue to support this humanitarian project.